Since the late 1990s, demonstrations at intergovernmental trade negotiations has indicated growing global discontent with free trade. At the same time, faster, more affordable computers have increased access, affording the opportunity for a diverse array of groups opposed to globalization and neoliberal economic policies to communicate with each other. 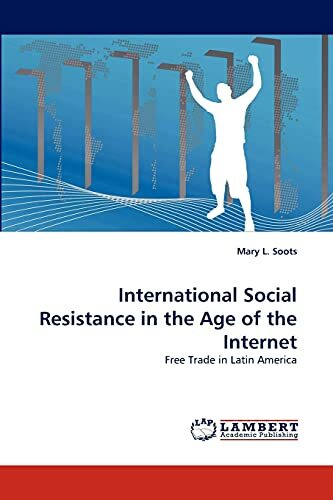 This research uses a political economy perspective to study the formation and mobilization of a globalized movement in 2005-2006 and presets the internet as a tool of democracy as it transferred from ?virtual? to physical opposition to the Free Trade Area of the Americas, the U.S.-Central American Free Trade Agreement, and the World Trade Organization. It explores relations within and between Latin America and the United States. It analyze social resistance, the steps leading to social change, and the backlash encountered as dominant powers seek to maintain hegemony. It explores the motivations of government, civil society, and economic elites within our current systems of democracy and capitalism, and argues that civil society actors and economic leaders are engaged in a battle for control of human and natural resources. Mary Soots, a political anthropologist and social researcher, enjoys studying globalization and resistance from both sides of the north-south divide. An American citizen born in Mexico, she believes in living simply and acting locally to achieve economic, social, and environmental sustainability. She appreciates travel and spending time outdoors.